Conflict over Parkfield teacher Andrew Moffat's 'No Outsiders' programme continues to escalate, with parents threatening to withdraw 400 children from one school. News 10 April, 2019 . Written by Cassia Gaden Gilmartin. 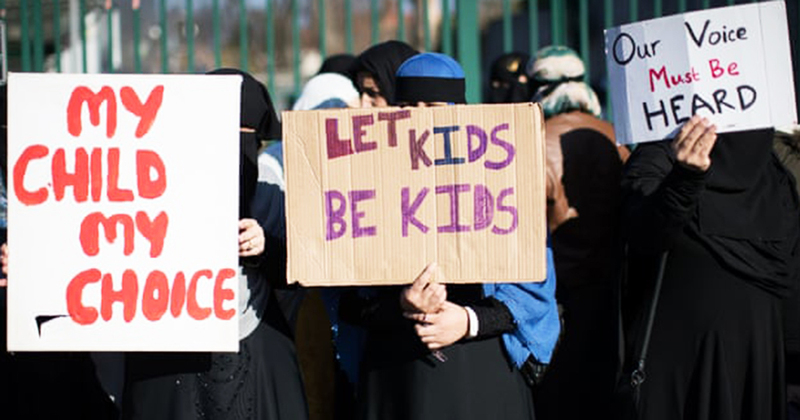 Andrew Moffat, assistant headteacher at Parkfield Community School and creator of the ‘No Outsiders’ programme of lessons that has sparked protests outside Birmingham schools, has received a death threat as conflict with parents continues to escalate. The No Outsiders programme, developed by Moffat in 2014 for use in Parkfield and other schools, aims to teach children about the characteristics protected by the Equality Act – such as sexual orientation, race and religion – through engagement with books about characters who belong to minorities. The books used to introduce LGBT+ equality include And Tango Makes Three, a story about two male penguins raising a chick, and Julian is a Mermaid, which follows a boy who likes to dress up in a mermaid costume. The programme is separate from RSE (relationships and sexuality education), which will include its own compulsory material on LGBT+ issues from 2020 onwards. The books used do not discuss any sexual acts, instead focusing on diverse types of families. Nonetheless, some parents have contended that teaching about LGBT+ relationships in the classroom is inappropriate or that the children involved are too young for the lessons. Following daily protests outside the school – which Moffat has said left some children in tears – Parkfield staff decided to suspend the programme until an agreement could be reached with concerned parents. Meanwhile, the conflict continues at other schools that are teaching the programme – and at Anderson Park Primary, where No Outsiders lessons are ongoing, parents have threatened to withdraw over 400 children from the school. A petition is due to be handed into Anderson Park today, calling on headteacher Sarah Hewitt-Clarkson to resign and for LGBT+ education to be halted. Parents will then meet tomorrow to decide whether or not to remove their children from the school. “If our letter or petition is not listened to then we will go forward with a mass withdrawal of the school,” Shakeel Afsar, whose niece and nephew attend the school, has told The Independent. Speaking in March, Hewitt-Clarkson said that staff had been forced to call the police repeatedly in order to deal with harassment by protesters during school pick-ups. Hinds urged schools to begin consulting with parents ahead of the introduction of compulsory RSE classes, including classes on LGBT+ relationships, from 2020 onwards. This has been welcomed by teachers involved in the No Outsiders row, as well as others involved in teaching RSE who have been frustrated by a lack of government leadership on the situation. Paul Whiteman, general secretary of the National Association of Head Teachers (NAHT), has welcomed Hinds’ intervention. According to a survey published on Monday by teaching publication TES, 94% of UK parents and teachers support lessons on LGBT+ identities in schools and believe schools have a responsibility to promote LGBT+ inclusion.